Honoring true martyrs, two young Germans who stood up to Nazi tyranny. It is difficult to do the right thing. It is difficult to think of others. It is difficult to share our wealth and our time. And it is very difficult to think and see long term. Can you see the Mountain? Abraham asked his son Isaac. Yes I can father, said the young Isaac. Then you come with me, said Father Abraham. And then Abraham turned to the two others, the helpers who packed and led the donkeys. Can you see the Mountain? No we cannot see a thing. Then stay here with the donkeys Abraham replied. A people who are no different from donkeys. It is not easy to see the Mountain, the future, the greatness that can lie ahead. Can you see the long term consequences of your actions? If you cannot then please stay here with the donkeys, as you are really no different. Why should I sacrifice for others? Here is one of the answers. When we think short term, when we think only of ourselves, then we shall surely suffer the consequences in the long run. Imagine we steal a little from the supermarket. No one will know and we can take a little "two finger discount". But if more people start doing this then the supermarket must raise their prices. After all it is we who will pay for it, in one form or another. So we steal and they raise the prices. Or, if we steal enough they will close the shop and move away. Either way we lose. If an attack takes place in our community and a call goes out for neighborhood watch volunteers, but not enough people respond; Too many people thinking...someone else can do that, I am too tired, too busy. Well in the long run this may become a "bad neighborhood". And then all those with money leave, escape, and only the poor and desperate remain. And then they will ask for government support as poor underprivileged people. People will cease to take responsibility for themselves and society deteriorates. And so it goes. If you want to live in a good neighborhood you have to be a good person. You must contribute to the community and not only seek what you can take for yourself. A society where each person tries to milk the system will eventually run itself to the ground. Yes we must always help the weak. We must always look out for the widows and orphans but we must not let professional beggars take over the system. The roots must be deeper than the branches or else the entire tree will collapse. An American friend offered an insight. 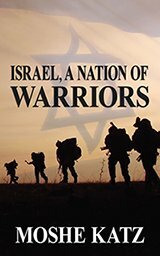 After reading my book, "Israel, A Nation of Warriors", he said he finally understood the Jewish community. He is a police officer and deals a great deal with the Jewish community. He did not understand why they have a volunteer group for everything. "Why don't they just call a regular ambulance? he wondered. "Why don't they just rely on the paid government services?" There is such a thing as collective responsibility. And now a difficult, sensitive, issue. A European friend wrote how many people in her country are still angry at the Americans. Her country was defeated in war, entire cities bombed and many families suffered for a long time. Yes, it is true, in war all people suffer. I understand their pain and I understand that, as one friend told me, "we suffered so much because of one stupid little man". But I also understand this, and here is a powerful lesson for all: We all bear responsibility for our community and our nation. Yes, it is difficult to stand up to tyranny, it is difficult to fight the Monster. Sophie Scholl fought the monster. Yes, one young German girl stood up and said NO, I will not accept this. She paid with her life. On the day she was beheaded by the Nazis she said, Die sonne scheint noch, the sun still shines, what a beautiful day. 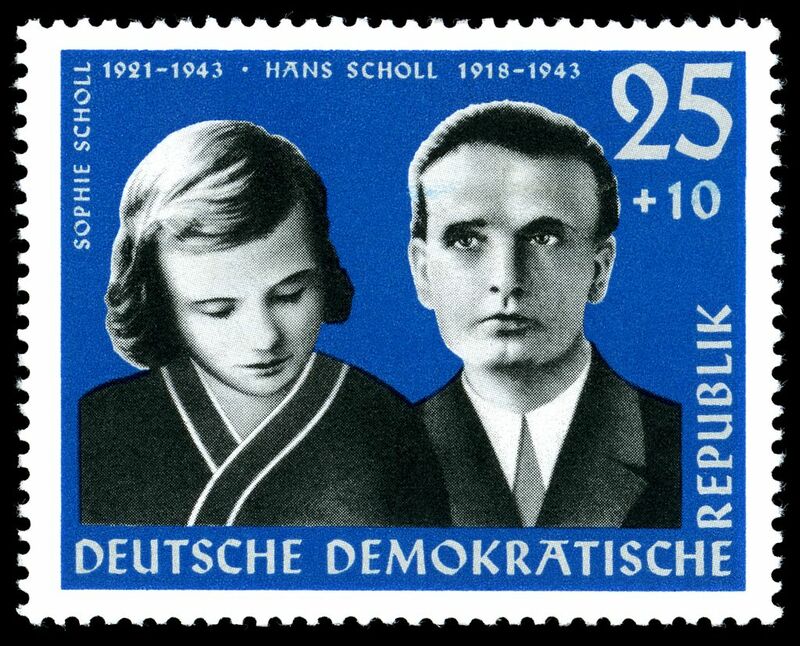 Her brother, Hans Scholl, met the same fate and shouted out Es lebe die Freiheit, long live freedom. Their friend and colleague Willi Graf was beheaded on 12 October 1943 in Munich, after six months of solitary confinement. There were others, many others but not enough. When they come for your neighbor and you say nothing, because you are afraid for your own fate, you will eventually pay. When your dear friend asks you to hide his children so that they have a chance to survive, but you close the door and tell your wife...there was no one at the door, wrong address, then you will eventually pay. You will pay with your cities being bombarded, you will pay with the suffering that you allowed to be inflicted on others. There is a Judge in this world and payment shall be exacted. We are responsible for our community, for our nation. If something is wrong we must stand up. If more people stood up during World War Two the results would have been much different, for all of us. But too many people said "It is not my problem, let the government handle matters", and then when the payment came due everyone is angry and bitter, but they forget that one must always pay their bills, sooner or later. All our actions have consequences. All of our lack of actions have consequences. Man and his Community. One is responsible for the other. What makes Israeli society Unique? Historical overview from Biblical times to our own. Analysis of the Reserve system, Airport security, history of a warrior nation, development of Krav Maga fighting system and mindset.